As ICC Cricket World Cup 2011 is all set to begin in just a couple of weeks and cricket fever will be back soon, its time to reminisce the sporting moments of the past world cups. In those days when there were no satellite TV channels and little other avenues of entertainment, not just matches but particular strokes of a player in a match and other sporting moments were remembered and debated for years. The first world cup, which was known as Prudential World Cup was played in England in 1975. As the day is longer in United Kingdom, the Limited Over International (LOI) matches consisted of 60 over for each side. West Indies had won the first world cup with ease by defeating Australia in the final. Such was the lack of preparation of Indian players that Sunil Gavaskar had remained not out at 36 in 60 overs. He scored 36 over 174 balls which he faced. In fact, Indian selectors apparently hadn't given much thought to the ODI format and there was no training. The English bowlers didn't even want Gavaskar to get out as his batting ensured an easy victory for England that earlier scored 334 for 4. Their bowlers also got ample opportunity to practice. India could manage just 132 for 3 in the sixty overs. The next world cup was again won by West Indies that had established itself as masters of the limited overs' game. 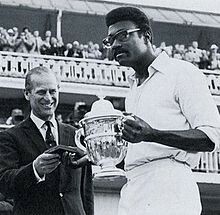 Led by Clive Lloyd, West Indian cricketers decimated all other teams to reach final where they beat England by 92 runs to win the second successive world cup. India lost to Sri Lanka in 1979 tournament and it was considered an upset. Australia was much weaker as its leading players had gone to Kerry Packer's World Series Cricket where they were playing under floodlights in empty stadiums. The great Vivian Richards hit a masterful 138 not out had helped the Windies post a total of 286 runs. England failed despite an effort by Mike Brearley and Geoff Boycott. Lloyd lifted the championship trophy again in Lord's. But the next world cup was going to end the Windies' reign. 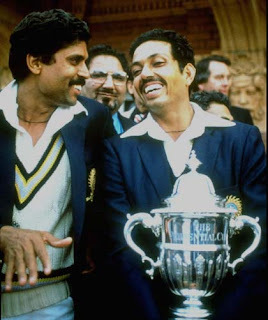 Kapil Dev led India to an extraordinary win in the world cup. The Indian team that comprised many young and less experienced lads was not taken seriously but under the captaincy of Haryana Hurricane, India not only made upset victories but also defeated the dreaded West Indies in the final. The World Cup is remembered for India's match against Zimbabwe when after losing five wickets for mere 17, Kapil Dev took charge. It was a cavalier innings. Gavaskar, Srikkanth, Sandeep Patil, Yashpal Sharma and Mohinder Amarnath were out for 0,0, 1, 9 and 5 respectively. But Kapil first partnered with Roger Binny and then with Madan Lal to take India to a respectable total. Then came the ninth wicket partnership of 126 with Syed Kirmani. In process he hit 175 not out, taking India to 266. Later Kapil's inspiring sportsmanship and captaincy was responsible for the manner in which India beat West Indies in the finals. In the final match, Srikkanth top scored with 38 followed by Patil (27) and Amarnath (26). India barely reached 183. However, under-rated medium pacers Madan Lal, Roger Binny, Balwinder Singh Sandhu and Mohinder Amarnath turned the tables for India. Amarnath gave just 12 runs in 7 overs to pick 3 wickets. The Calypsos were bundled out for 140. The mighty Windies apparently suffered such a shock that they steadily declined and within a period of just two years lost the tag of invincible team. It was the first world cup that was held outside England and showing growing clout of India and Pakistan in the cricket world. Initially Hinduja were supposed to sponsor it but after they backed out, Reliance sponsored the event. For the first time, all teams played 50 overs each unlike past when both sides batted for 60 overs. Fresh from the world cup victory and the magnificent win at Benson and Hedges World Championship  in Australia where Ravi Shastri had endeared himself to millions with his all-round display, India was again favourites. If Kris Srikkanth and Kapil Dev were masters of the game, the emergence of Ravi Shastri and Mohammad Azharuddin, had given an edge to India. However, Gavaskar who had changed his game in accordance with the needs of the LOIs and played attacking cricket, had already announced his intention to retire after the World Cup. One felt that Indian team could win the trophy and it would be a gift befitting the man's contribution but India failed to win. The emergence of Navjot Singh Siddhu as a pinch hitter [yet technically correct] and amazingly consistent batsman in ODIs was an added advantage. England and Imran Khan's Pakistan were also among the favourites and Vivian Richards' West Indies was still considered a deadly force. However, another team of young lads, Australia, led by the formidable Allan Border surprised everybody as they clinched the trophy. In the first semi-final Imran Khan had batted brilliantly by scoring 58 and clinched three wickets aided by Javed Miandad's 70. However, Mcdermott's five wicket haul proved costly and chasing Australia's 267, they lost by 18 runs. In the other semi-final, Graham Gooch's century powered England to 254 despite Maninder Singh's superb effort but Indian team fell like a pack of cards with just Azharuddin playing the lone warrior with 64. Due to Hemmings' devastating bowling, India got out to 219 and lost by 35 runs. In the final David Boon's century had set the stage as Aussies reached 253. Despite Graham Gooch, Bill Athey, Mike Gatting and Allan Lamb scoring substantial runs, England finally lost to Kangaroos by seven runs due to tight bowling [and fielding] by Steve Waugh and Border. The World Cup that was organized jointly by Australian and New Zealand is remembered for the manner in which Pakistan's captain Imran Khan inspired his players and came back from nowhere to win the championship. 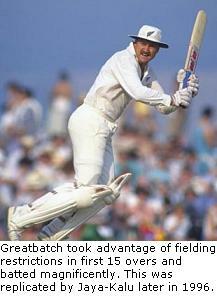 It was this competition that saw Mark Greatbatch assuming the role of pinch-hitter. He didn't play in the intial matches but as John Wright was injured, Greatbatch got the opportunity and took advantage of the changed rules regarding number of fielders in the initial 15 overs, to power New Zealand to the semi-final. Martin Crowe also batted brilliantly. Apart from Inzamam-ul-Haq's emergence, the world cup is also remembered as Sachin Tendulkar showed his class and made his world cup debut. India beat Pakistan by 43 runs in the earlier match in which Tendulkar remained not out on 54 while Ajay Jadeja hit 43. Both the semi-finals were memorable. Martin Crowe hit 91 to take New Zealand to 262. But Pakistan successfully chased the total as Javed Miandad, Imran Khan, Ramiz Raja and Inzamam-ul-Haq batted superbly. Miandad and Moin Khan closed the match with a over to go. The other semi-final is still remembered as after its return from Apartheid era, South Africa returned to mainstream cricket world and Kepler Wessels' team had made a great comeback while chasing England's 252. McMillan and Richardson were at the crease and 22 were needed of 13 balls when Duckworth/Lewis rule changed target to 21 runs off 1 ball. In the final, Pakistan batted first. Imran led the charge and hit 70 that took Pakistan to 249. Ian Botham who opened the batting for England was out for nought. Except Neil Fairbrother, no batsman could play the fiery Wasim Akram aided by Aqib Javed and Mushtaq Ahmed. In the end, an emotional Imran Khan made a speech mentioning his plan to build a cancer hospital in memory of his mother late Shaukat Khanum. Who will win the ICC World Cup 2011? One of the biggest sporting extravaganzas, the Cricket World Cup is all set to begin in less than a month. Since 1975, the world cup is being held once every four years and the tenth world cup will see 14 teams playing 49 cricket matches at over a dozen venues across India, Bangladesh and Sri Lanka. The ICC Cricket World Cup 2011 starts with the opening match at Bangladesh's Mirpur on February 19. The matches will be held through out March and the final will played at the historic Wankhede stadium in Mumbai on April 2. Whether you are Test cricket fan or you find One Day Internationals (ODIs) boring after the advent of T20, the fact is that no one can escape the cricket fever for almost 1-1/2 months. The World Cup is being hosted again in India. Initially it was supposed to be hosted jointly by India-Pakistan but terrorist attacks particularly the firing on Sri Lankan team forced the authorities to shift matches and give them to Bangladesh and Sri Lanka. The format includes two groups with seven teams each. Four teams will qualify from each group. These eight teams will play then four matches in the quarter finals. The four winners will then play in the semi final at Colombo and Mohali on March 29 and March 30. The final will be played on April 2. India among favourites to win the cup! Predictions as to which team will win the world cup can go horribly wrong. In the past, teams not given a chance, had a sudden dream run and went on to clinch the cup. India is among the favourites as led by the Mahendra Singh Dhoni, the team has a mixture of experience and youth that ranges from Sachin Tendulkar and Virendra Sehvag to Yusuf Pathan. While Gambhir and Yuvraj Singh will provide strength to the batting line up, Pathan is expected to play the role of accelerator. Harbhajan Singh and Zaheer Khan would lead the Indian bowling attack with Nehra and Munaf Patel as the other two medium-pace fast bowlers. The bets are in favour of India followed by Sri Lanka, England, South Africa and then Pakistan. South Africa is surely a combination to watch far, given their recent record in ODIs. While Pakistan looks a bit shaky, it can't be written off. As far as performance of teams in ODIs in 2010 is concerned, South Africa led with 12 wins in 16 matches played during the course of year. Sri Lanka was second with 15 wins in 22 matches and a victory percent of 72. Australia won 16 out of 25 matches while England played 17 and won 12. In sharp comparison India won 17 out of 27 matches, losing ten games. Of course, India hit 401 against South Africa in Gwalior in February '09. Pakistan had a forgettable year with just 5 wins in 18 matches. West Indies didn't do well either in the bygone year. In 2010, Hashim Alma overshadowed all other batsmen as he scored over 1,000 runs in just 15 matches with an average of over 75. Virat Kohli was second with 995 runs in 25 matches followed by AB De Villiers, Thilakratne Dilshan et al. Among bowlers Bangladesh's Shakib al Hasan was the leading bowler in the world followed by Harris, Shafiul Islam, Stuart Broad and Bangladesh's A Razzaq. Ashish Nehra also figured in the list of top ten bowlers. But India did well in Test cricket this year and their success rate was just after England. Australia, South Africa, West Indies and Pakistan followed in terms of victories. In T 20 format, 2010 witnessed England, Australia, South Arica and Kenyad doing much better than the rest of the teams. Australia has been the most successful team in World Cups followed by West Indies. India, Pakistan and Sri Lanka have also won the trophy but among important teams England and South Africa have not been able to life the cup. Interestingly, all the three teams from sub-continent have ended up as runners-up also. India reached the final in 2003 also but lost to Australia. Pakistan again also made it to final in 1999 but were routed by Australia in the final. Sri Lanka again lost to Aussies in 2007. In 1975 and 1979, West Indies were winners. 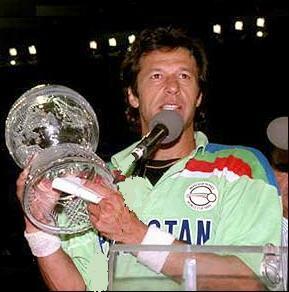 In 1983 India made an upset victory which was followed by Australia in 1987, Pakistan in 1992, Sri Lanka in 1996. Australia has won the ICC World Cup on last three occasions viz. 1999, 2003 and 2006-07. So far Australia has played 69 matches in World Cups and won 51. Ricky Ponting is the most successful captain. He has led Kangaroos in 22 matches in World Cup and won all of them. Ponting also holds the record for best fielder with 39 catches in 25 world cup matches. As far as performance of individual players is concerned, Sachin Tendulkar has been the most successful batsman as he has scored 1,796 runs in five world cups, followed by Ricky Ponting 1537, Brian Lara 1225, Jayasuriya 1165, Adam Gilchrist 1085 and Javed Miandad 1083. Gibbs, Stephen Fleming, Arvinda de Silva, Viv Richards, Saurav Ganguly and Mark Waugh have also scored over 1,000 runs in World Cup tournaments. In the last World cup, Mathew Hayden amassed 659 runs while before that Tendulkar had the maximum runs in a single world cup when he got 673 in just 11 matches. Tendulkar will become the second player after Miandad to play in six world cups. Among bowlers, Glenn McGrath has been most successful and has taken 71 wickets followed by Wasim Akram (55), Muralitharan (53), Vaas (49), Srinath (44) and Donald (38). With barely three weeks to go before the event starts, here was the schedule and a summary of the history of World Cups. The venue and schedule of matches are subject to last-minute change. As the world cup draws nearer, there will be more posts and celebrating the nostalgia & joy of cricket. Ciou! *Names of venues: Read H'tota as Hambantota [in Sri Lanka], C'gong as Chittagong [in Bangladesh] and Motera is in Gujarat. The BJP has certainly managed to create a stir in large parts of the country with its plans to take another 'yatra' and reach Srinagar's Lal Chowk to hoist tricolour on Republic Day. Call it our naivete or success of BJP's propaganda machinery, the reality is that in North India, the party has to an extent managed to give an impression as if tricolour is not unfurled in Kashmir at all. While the truth is that the flag is unfurled at all government buildings in Jammu and Kashmir apart from flag hoisting functions here on lines of all state capitals on August 15 and January 26. But the Bharatiya Janata Party (BJP) that has a much larger (and louder) active cadre than any other party and has the support of scored of RSS-affiliated groups apart from the right-wing leanings in vernacular media in parts of North India, somehow creates a false impression about Kashmir. 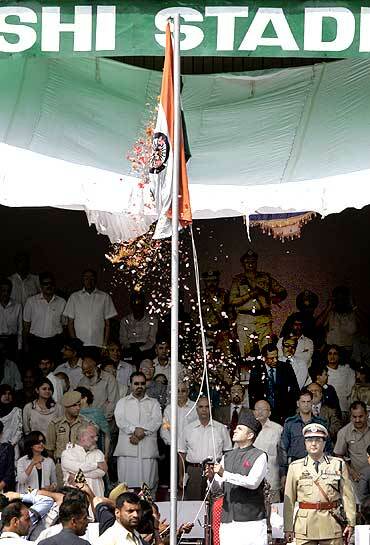 As one can see the photograph on the left, Chief Minister Omar Abdullah is hoisting the national flag in Srinagar. However, newspapers also don't often clear the myth and simply air the fiery statements, that suggest to the man on street as if it is prohibited or banned to hoist Indian flag in the state. And when along side such news, reports of Jammu and Kashmir government's stern warning to BJP not to press with its plan are published, it creates an altogether different picture. Other parties and their spokespersons don't seem to realise and the layman also feels that Kashmir is the most pampered state where 'anti-Indians, Pakistanis and separatists' rule the roost. The BJP has a state unit in Jammu and Kashmir and it can very well unfurl the flag rather than the 'Rashtriya Ekta Yatra'. They can join the official functions or unfurl the 'Tiranga' at hundreds of places in Srinagar and send the message to separatists. But by taking out marches from across the country to reach Srinagar, does the party want to question the nationalism of Kashmiris or sort of threaten them. Or if the party really wants to unfurl flag, it can go to territory claimed by Pakistan in Northern Kashmir or China's claimed parts in Arunachal Pradesh. Will they dare do it in Red country, Abujhmad, in the heart of BJP-ruled Chhattisgarh where Naxalites hoist their own flag? The reason is BJP's obsession with communal issues. Despite having ruled the nation, a large section of the party workers have tendencies to create controversies. It never utters a word about a North Eastern state like Nagaland where an Indian citizen needs permit to go, it speaks no word but it spends all its energy over J&K where every Indian is free to go. True there are separatists and there is a strong sentiment for Azadi but it doesn't mean that things should be given such a twist that create a false impression about the state among the mind of millions of Indians. The BJP has a sort of specialization over taking out such 'marches'. It can't seem to forget that LK Advani's 'rath yatra' had created a frenzy in India. Though Murali Manohar Joshi's similar venture was a failure, BJP has announced several such marches in the past. Until a few years back, the same party used to make lot of noise demanding that the flag be hoisted at Idgah Maidan in Karnataka's Hubli. Though it was a childish demand but it had potential to create communal divide. 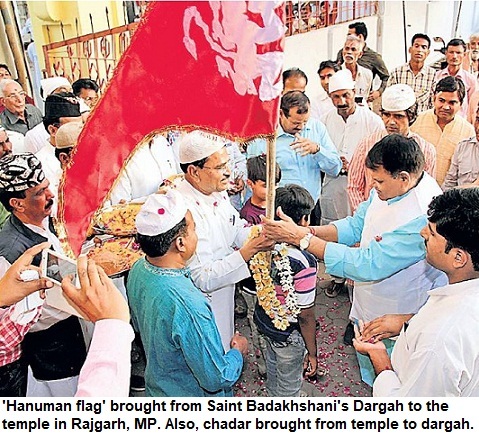 Places of worship in India don't have national flag atop them. But local Muslims punctured the movement when they themselves hoisted flag at Hubli's Idgah Maidan. Interestingly, national flag was never unfurled at RSS offices or the Sangh Parivar's programmes. Till recently even on Independence Day and Republic Day the flag was not hoisted at its headquarters in Nagpur. But perhaps the self-styled patriots can't be questioned about their own nationalism. In fact, barely a year ago a BJP woman leader had unfurled saffron flag on Independence Day which had caused controversy. Once again the party is aiming to get political leverage though the truth is that it doesn't help BJP at all. Personally one feels that the State government could have handled it better by letting BJP leaders undertake march in the real sense and made them go on foot [walking just a few hundred kilometers--320 kms] after entering the state up till Srinagar's Lal Chawk rather than going for confrontation. In that case it could have served the objectives of both. But the reality is that BJP remembers Kashmir only for Afzal Guru, Article 370 or similar contentious issues. It has no positive agenda, a healing touch or even a statement of empathy when youths die of bullets. Why should a national party repeatedly act in a manner that gives a spur to such elements who can use it to further label Indian Kashmir as a conflict zone? General elections are far away. The issue will not help it in West Bengal assembly elections either. Even otherwise political gimmicks no longer fetch votes. But it seems that old habits die hard. Though its leaders are comparatively more measured [and less provocative] in their public utterances it seems that the BJP has to go a long way towards realising that it needs to behave much more sensibly and in accordance with its strength in parliament and vast acceptability in the country. When its leaders issue statements that sound like 'war cries' rather than playing the role of statesmen, it reduces itself to the level of the fringe groups. And when a Yasin Malik retorts and threatens that 'the yatra can set the sub-continent afire', it gets too ugly. How will this sort of politics help the country or even the BJP? When Asma Javed put forward her candidature for the post of president of students' union, it was a sort of breaking the tradition in Aligarh Muslim University (AMU). No girl student had ever contested the election. Earlier, the girls college was separate and had its own union but after the recent recommendations of Lyngdoh committee, AMU became the first among central universities to hold the campus elections. Asma is the daughter of a police official. She feels that the time has come for Muslim women to participate electoral politics as well. While she is contesting for the post of president, two other girls--Naheed and Samia are candidates for the post of Vice-president and secretary. The elections are being held today. Victory and defeat are not as important in this election. What is more important is the message. The confidence with which these girls have decided to contest the polls, is a positive signal. Today they are contesting, tomorrow they will surely be winning. For decades, it has been men who have dominated the political arena and almost all the social spheres and we didn't seen much of a difference, perhaps, the time has come now for Muslim women to take the reins and bring about the change. Read an earlier post 'Triumphant Shireen walks into university without veil'. Speedster Zaheer Khan went past a major milestone during the Durban test match in South Africa. Though India won the test, the record didn't get due attention. During the course of the test, Zaheer went past the record of the spin legend Bishan Singh Bedi whose record of 266 wickets was a landmark for bowlers for several years until Kapil Dev broke it in the 80s. Now Zaheer Khan has taken 271 wickets in just 78 tests. Further, it is his magnificent strike rate that gives him an edge over all other Indian top bowlers. Zaheer's strike rate is 58.1, which is almost similar to Shane Warne and Courtney Walsh and much better than Kumble 65.9, Kapil 63.9 and Harbhajan Singh 67.3. For a speedster, especially in India, it's no mean achievement. After all, Bedi was the bowler who led the famous spin quatret [chaukdi] that included Erapalli Prasanna, Bhagwat Chandrashekar and later Venkataraghavan. As far as pace bowlers are concerned, our record has been fairly dismal and Zaheer is now well ahead of Javagal Srinath [236 wickets]. On pitches that offer less to medium pacers or fast bowlers, Zaheer's achievement is laudable. Particularly, as he is now fourth in the list of highest wicket takers for India in test matches after Anil Kumble, Kapil Dev and Harbhajan Singh and only the second after Haryana Hurricane Kapil Dev among Indian pace bowlers. Till the advent of Kapil Dev, India relied heavily on spinners. And this tells the story of Indian pace bowling. After the initial era when Amar Singh Ladha and Mohammad Nissar gave jitters to England in the pre-partition era, India's search for genuine quick bowlers continued. Though late 80s and early 90s saw the rise of several bowlers, none proved their potential. The bowlers who came after Roger Binny and Madan Lal also retired early. 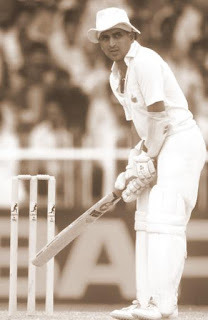 Kapil was the lone warrior as even Manoj Prabhakar and Venkatesh Prasad couldn't go pass 100 wickets. It is in this backdrop that Zaheer's achievement get more important. In fact, he also suffered lack of good support from the other end. For a period it was believed that he had lost his momentum and was dropped. But ever since his return to form, Zaheer is again the mainstay of Indian opening attack. Either it's Irfan Pathan or Ajit Agarkar, none of them fulfilled the potential. Zaheer also has 245 wickets in ODIs. Though he doesn't lack in glamour quotient, Zaheer has managed to keep himself focused unlike Pathan who became more of a glamour boy. Now a veteran with a career of 11 years in international cricket, 32-year-old Zaheer Khan's career proves that fast bowlers aren't a rare commodity in India. Once a hot-headed player, the fast bowler from Maharashtra's Shrirampur is today an inspiration for cricket fans and budding cricketer. Also, the left-arm fast-medium speedster is among one of the most eligible bachelors. He has remained mum on the questions that whether he was going to get married soon. With time he has evolved into a fine cricketer and better bowler. There is lot of cricket still left in him and definitely Zaheer is all set to entertain the cricket aficionados and serve Indian cricket for many years to come. The 'mazaar' of Captain F Wale in Lucknow. For long I have heard about the mazaar [Sufi's grave] where the visitors seeking the saint's favours offered 'cigarettes'. A couple of years back I decided to see the place which is located in a corner of Lucknow. Contrary to what I had heard in BBC and other reports, it was not a traditional Sufi grave. Rather, it turned out that the solitary grave amidst lush green fields on the banks of the river Gomti, was the final resting place of a Britisher. Of course, scores of burnt out cigarettes were lying around. Lovelorn youth mostly turned to this grave, for favours. It was Captain F Wale, a Christian, who was buried here almost 152 years ago. He was leading a British army unit that had a severe battle with the joint Hindu-Muslim forces defending Awadh in the aftermath of 1857 revolution [termed mutiny]. Over the years, the grave came to be known as mazaar. In India, where the ordinary man on the street remains devout and respectful towards all religions and their symbols, it was considered a mazar and the reputation somehow grew. The fact that the words written in English were not legible enough and English not so widely understandable in the past, gave the impression that it was the 'cigaratte wale baba's mazaar'. Even otherwise who bothers if the person inside a mazar was a Hindu, Muslim, Sikh or Christian--as such beliefs still cut across religious discrimination. A friend and blogger had also written a post on the mazaar a few years ago. Mazar with background of ruins that show signs of battle. Legends, exaggerations and reality: Baba takes puffs! Often things are exaggerated also and as I heard that the Baba takes puffs, it had puzzled me more. Anyway it was a revelation. Coming back to how the saint smokes cigarettes, the visitors [or believers] light the cigarettes that are fit in holes on the grave. As this part of Lucknow is close to the banks of Gomti, due to the intense breeze the cigarette burns completely in seconds. That's how the legend grew. Mostly it is a particular brand of cigarette that is offered. My theory is that though the engraved letters aren't clearly visible, someone read the word 'Captain' and that's how the popular cigarette brand 'Capstan' got associated with this grave. Due to its location, the visitors who come to see the nearby historical ruins, also sometimes visit the grave, out of curiosity. Thus Captain Wale who had raised the first irregular Sikh cavalry in British Indian army and was killed by Indians, turned a sort of saint whose grave is more visited on Thursdays.